This is one of my major architectural works. 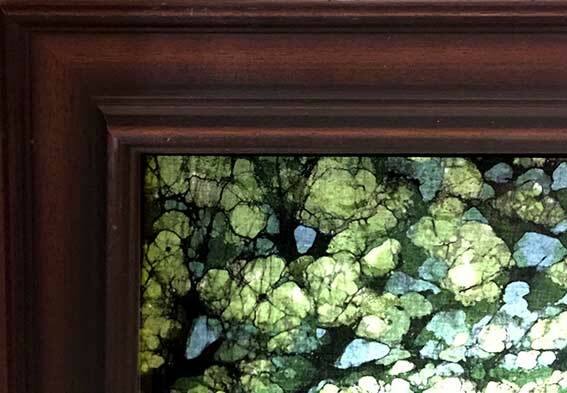 I have, over the years developed a technique of interpreting and simplifying the drawing of the details in Gothic stonework to a point where I can portray them successfully using the melted wax. The cracking of the wax to let darker colours seep through gives age and texture to the stones. 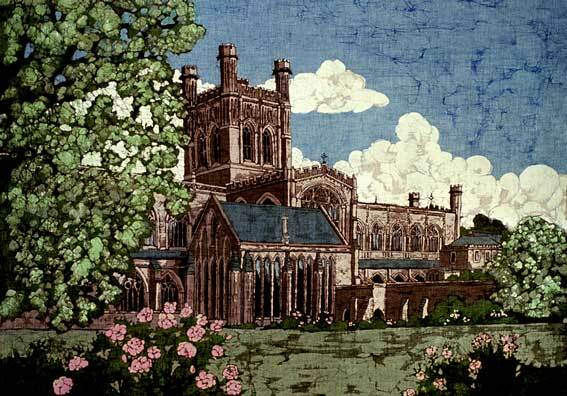 Chester Cathedral is built in a beautiful soft red sandstone and stands in a lush green setting. I was very pleased with the finished painting which has a real three dimensional feel.